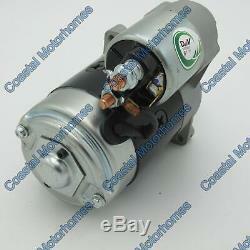 Talbot Express Peugeot J5 Citroen Fiat Ducato C25 Starter Motor 1.8 2.0 Petrol. 1.8 and 2.0 Petrol Only. Voltage [V] 12 Power [kW] 1.05 Size A [mm] 66 Size B [mm] 21 No. /teeth (fits into) 9 No. Holes with thread 2 Rotation CW. 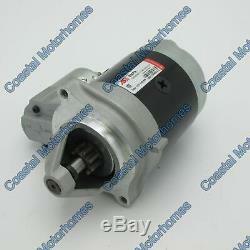 (Talbot Express Peugeot J5 Citroen Fiat Ducato C25 Starter Motor 1.8 2.0 Petrol)'s compatibility is a guide only. Please use part numbers and photos to confirm suitability for your vehicle. 77612430, 9150475180, 9151139080, 5558.07, 5558.93, 5580.07, 5580.93, 7910004942, 7910027938, 9153695080, 95607233, 5558 07, 5558 93, 5580 07, 5580 93, 432512, 433223, 94612K, D9E36, D9E54, D9E61, D9E62, 16619R, STR54003. Left Hand Drive, Right Hand Drive. 111066, CST10110AS, 3814, 453016, 534046, 534050, 618077, 618078, 618565, 618795, 6240, 6242, 11172, 25-0102, 8010200, CS352, 42432512, 22.0352, LRS00178, 8212731, 88212731, 2017-072RS, SS128, SS178, 310023W. All items will be dispatched same day if ordered before 3pm Monday-Friday (Excluding UK Bank Holidays). Talbot Express Fiat Ducato Peugeot J5 Citroen C25 1.8 2.0 Petrol Down Pipe. Talbot Express Fiat Ducato Exhaust Peugeot J5 Citroen C25 1.8 2.0 Petrol. Talbot Express Fiat Ducato Peugeot J5 Citroen C25 2.0L Head Studs Bolts M11. Talbot Express Fiat Ducato Peugeot J5 Citroen C25 Oil Filter 1.8 1.9 2.0. Talbot Express Fiat Ducato Peugeot J5 Citroen C25 1.8-2.0 Fuel Filter. Talbot Express Fiat Ducato Peugeot J5 Citroen C25 1.8-2.0 Petrol Service Kit. Talbot Express Citroen C25 Peugeot J5 Fiat Ducato 1.8-2.0 Petrol Water Pump. Talbot Express Fiat Ducato Peugeot J5 Citroen C25 1.8L 2.0L Petrol Sump Plug. Talbot Express Fiat Ducato Peugeot J5 Citroen C25 1.8-2.0 Petrol Service Kit +. Talbot Express Fiat Ducato Peugeot J5 Citroen C25 Power Steering Belt 2.0P. Talbot Express Fiat Ducato Peugeot J5 Citroen C25 Petrol Fuel Pump 1.8+2.0 81-94. Talbot Express Fiat Ducato Peugeot J5 Citroen C25 Oil Filter 1.8/2.0P 1.9LD+TD. Talbot Express Fiat Ducato Mk2 Diesel Petrol Fuel Cap Peugeot J5 Citroen C25. Talbot Express Fiat Ducato Petrol Diesel Fuel Cap 60mm Peugeot J5 Citroen C25. Talbot Express Fiat Ducato Thermostat Petrol 82c Citroen C25 Peugeot J5. Talbot Express Fiat Ducato Petrol Air Filter Peugeot J5 Citroen C25. Talbot Express Citroen C25 Peugeot J5 Fiat Ducato 1.8-2.0 Petrol Water Pump OE. Talbot Express Fiat Ducato Petrol Diesel Fuel Cap 53mm Peugeot J5 Citroen C25. Talbot Express Fiat Ducato Fuel Tank Peugeot J5 Citroen C25 Petrol Diesel CM. Talbot Express Fiat Ducato Peugeot J5 Citroen C25 Electric Fuel Pump Petrol. Talbot Express Fiat Ducato Peugeot J5 Citroen C25 Petrol Clutch Kit 230mm(81-94). Talbot Express Fiat Ducato Peugeot J5 Citroen C25 Petrol Lower Rad Hose 7543030. Citroen C25 1981 1.8 Petrol. Citroen C25 1981 2.0 Petrol. Citroen C25 1982 1.8 Petrol. Citroen C25 1982 2.0 Petrol. Citroen C25 1983 1.8 Petrol. Citroen C25 1983 2.0 Petrol. Citroen C25 1984 1.8 Petrol. Citroen C25 1984 2.0 Petrol. Citroen C25 1985 1.8 Petrol. Citroen C25 1985 2.0 Petrol. Citroen C25 1986 1.8 Petrol. Citroen C25 1986 2.0 Petrol. Citroen C25 1987 1.8 Petrol. Citroen C25 1987 2.0 Petrol. Citroen C25 1988 1.8 Petrol. Citroen C25 1988 2.0 Petrol. Citroen C25 1989 1.8 Petrol. Citroen C25 1989 2.0 Petrol. Citroen C25 1990 1.8 Petrol. Citroen C25 1990 2.0 Petrol. Citroen C25 1991 1.8 Petrol. Citroen C25 1991 2.0 Petrol. Citroen C25 1992 1.8 Petrol. Citroen C25 1992 2.0 Petrol. Citroen C25 1993 1.8 Petrol. Citroen C25 1993 2.0 Petrol. Citroen C25 1994 1.8 Petrol. Citroen C25 1994 2.0 Petrol. Fiat Ducato 1981 1.8 Petrol. Fiat Ducato 1981 2.0 Petrol. Fiat Ducato 1982 1.8 Petrol. Fiat Ducato 1982 2.0 Petrol. Fiat Ducato 1983 1.8 Petrol. Fiat Ducato 1983 2.0 Petrol. Fiat Ducato 1984 1.8 Petrol. Fiat Ducato 1984 2.0 Petrol. Fiat Ducato 1985 1.8 Petrol. Fiat Ducato 1985 2.0 Petrol. Fiat Ducato 1986 1.8 Petrol. Fiat Ducato 1986 2.0 Petrol. Fiat Ducato 1987 1.8 Petrol. Fiat Ducato 1987 2.0 Petrol. Fiat Ducato 1988 1.8 Petrol. Fiat Ducato 1988 2.0 Petrol. Fiat Ducato 1989 1.8 Petrol. Fiat Ducato 1989 2.0 Petrol. Fiat Ducato 1990 1.8 Petrol. Fiat Ducato 1990 2.0 Petrol. Fiat Ducato 1991 1.8 Petrol. Fiat Ducato 1991 2.0 Petrol. Fiat Ducato 1992 1.8 Petrol. Fiat Ducato 1992 2.0 Petrol. Fiat Ducato 1993 1.8 Petrol. Fiat Ducato 1993 2.0 Petrol. Fiat Ducato 1994 1.8 Petrol. Fiat Ducato 1994 2.0 Petrol. Peugeot J5 1981 1.8 Petrol. Peugeot J5 1981 2.0 Petrol. Peugeot J5 1982 1.8 Petrol. Peugeot J5 1982 2.0 Petrol. Peugeot J5 1983 1.8 Petrol. Peugeot J5 1983 2.0 Petrol. Peugeot J5 1984 1.8 Petrol. Peugeot J5 1984 2.0 Petrol. Peugeot J5 1985 1.8 Petrol. Peugeot J5 1985 2.0 Petrol. Peugeot J5 1986 1.8 Petrol. Peugeot J5 1986 2.0 Petrol. Peugeot J5 1987 1.8 Petrol. Peugeot J5 1987 2.0 Petrol. Peugeot J5 1988 1.8 Petrol. Peugeot J5 1988 2.0 Petrol. Peugeot J5 1989 1.8 Petrol. Peugeot J5 1989 2.0 Petrol. Peugeot J5 1990 1.8 Petrol. Peugeot J5 1990 2.0 Petrol. Peugeot J5 1991 1.8 Petrol. Peugeot J5 1991 2.0 Petrol. Peugeot J5 1992 1.8 Petrol. Peugeot J5 1992 2.0 Petrol. Peugeot J5 1993 1.8 Petrol. Peugeot J5 1993 2.0 Petrol. Peugeot J5 1994 1.8 Petrol. Peugeot J5 1994 2.0 Petrol. Talbot Express 1981 1.8 Petrol. Talbot Express 1981 2.0 Petrol. Talbot Express 1982 1.8 Petrol. Talbot Express 1982 2.0 Petrol. Talbot Express 1983 1.8 Petrol. Talbot Express 1983 2.0 Petrol. Talbot Express 1984 1.8 Petrol. Talbot Express 1984 2.0 Petrol. Talbot Express 1985 1.8 Petrol. Talbot Express 1985 2.0 Petrol. Talbot Express 1986 1.8 Petrol. Talbot Express 1986 2.0 Petrol. Talbot Express 1987 1.8 Petrol. Talbot Express 1987 2.0 Petrol. Talbot Express 1988 1.8 Petrol. Talbot Express 1988 2.0 Petrol. Talbot Express 1989 1.8 Petrol. Talbot Express 1989 2.0 Petrol. Talbot Express 1990 1.8 Petrol. Talbot Express 1990 2.0 Petrol. Talbot Express 1991 1.8 Petrol. Talbot Express 1991 2.0 Petrol. Talbot Express 1992 1.8 Petrol. Talbot Express 1992 2.0 Petrol. Talbot Express 1993 1.8 Petrol. Talbot Express 1993 2.0 Petrol. Talbot Express 1994 1.8 Petrol. Talbot Express 1994 2.0 Petrol. The item "Talbot Express Peugeot J5 Citroen Fiat Ducato C25 Starter Motor 1.8 2.0 Petrol" is in sale since Friday, March 15, 2019. This item is in the category "Vehicle Parts & Accessories\Car Parts\Electrical Components\Starter Motors". The seller is "coastal-motorhomes" and is located in Ringwood, Hampshire. This item can be shipped worldwide.